Paton, WD 1982. Hexamethonium.. British Journal of Clinical Pharmacology, Vol. 13, Issue. 1, p. 7. 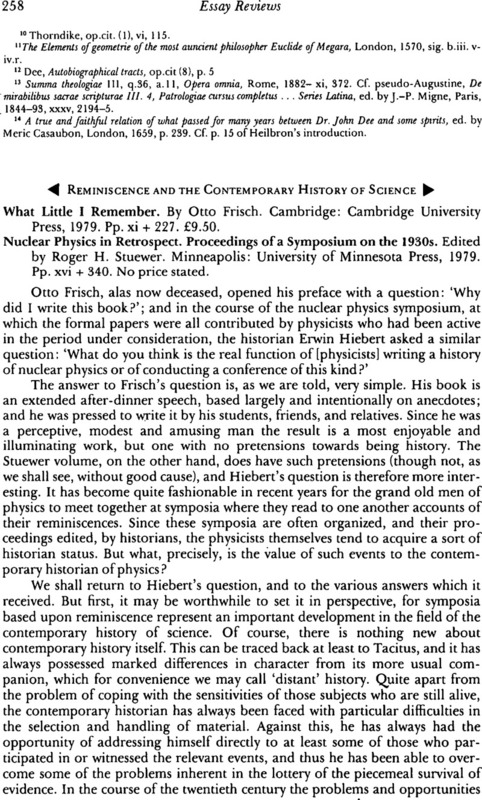 1 Serwer, D., ‘“Unmechanischer Zwang”: Pauli, Heisenberg, and the rejection of the mechanical atom’, Historical studies in the physical sciences, 1977, 8, 189–256. 2 Mackinnon, E., ‘Heisenberg, models, and the rise of matrix mechanics’, Historical studies in the physical sciences, 1977, 8, 137–88. 3 This project is a cooperative enterprise involving researchers in America, Britain, and Germany. Progress reports are to be issued from time to time by the Center for History of Physics at the American Institute of Physics.